Being a busy professional, it’s imperative that I keep my body as healthy as my mind. As I’ve hit middle age, I realized that I wasn’t smiling as much as I used to due to stained and injured teeth. Dr. Ema created a plan that restored my teeth and dental health. Now I smile all the time! Chicago Veneers is the premier office for busy professionals seeking quality, esthetically-driven comprehensive dentistry in the Loop and South Loop. We provide outstanding customer service, treat our patients as part of our Chicago Veneers family, and we make them feel great about the dentistry they receive. Our office is a modern, comfortable, and friendly environment where patients enjoy coming for their dental visits and are wowed with our outstanding customer service. The first step towards getting your great smile is to schedule an appointment. Please contact our office by phone or complete the appointment request form below. Our scheduling coordinator will contact you to confirm your appointment. If you are an existing patient, this contact form should not be utilized for communicating private health information. We understand how important your smile is to your quality of life and self confidence. If you hate your crooked, gapped, or stained teeth, come see us about veneers. At Chicago Veneers, we’ll transform the smile that you hate into a straight, radiant smile that you’ll want to show off! Veneers can change the shape, size, color, or length of your teeth to give you the beautiful smile you’ve always wanted. If you’re missing teeth, your dentist may recommend implants. Dental implants are surgically inserted into your jaw to replace the root of your missing tooth. Your dentist can then affix a replacement tooth on top of the implant(s), providing a stable base for an artificial tooth. Implants can restore your smile and give you the confidence to show it off! Before that big day, those family pictures, or that vacation you’ve waited all year for, don’t forget to get your smile ready. You don’t have to settle for stained teeth. If you wish you had whiter teeth, don’t wait any longer to get the radiant smile you’ve always wanted. Our team at Chicago Veneers is experienced in teeth whitening procedures and is ready to help you decide which route is best for your oral health. If you hate your misaligned teeth, you should consider Invisalign. We understand that the clunky appearance of traditional braces is a no-go for many people. However, that doesn’t mean that you have to live with a crooked smile that you hate. Invisalign is a clear, non–metal alternative to braces, and it works by gradually shifting your teeth into the desired position. 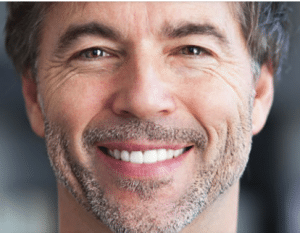 If you hate your smile because of a broken tooth, a weak tooth, or a tooth that simply doesn’t look like the rest of your natural teeth, then you have options for restoring your smile. You don’t have to settle for a smile you want to hide. In some cases, your dentist may recommend restoring your smile with an dental crown. If you’re sick of hiding your smile because of missing teeth, then it might be time to restore your teeth. You want to feel good and look good, and a dental bridge may be just the thing to give you the complete and beautiful smile that you’ll want to show off! Dental bridges can improve the function an appearance of a missing tooth. Your dentist will help you determine whether or not a bridge is the best option for restoring your smile.